When troublemaker Michael Sylvester Stallone attended Philadelphia’s Abraham Lincoln High School in the mid-1960’s, little did he know he’d be returning there thirteen years later – and this time, as a movie star. As a teenager, the young Stallone was both expelled from or left a number of high schools including Lincoln High, eventually going on to a special school for troubled youth where he finally graduated. He later went on to attend college and eventually landed in New York where he struggled in his pursuit of an acting career. In 1975, Stallone wrote himself into stardom when he penned the original story for his Oscar-winning classic – Rocky. Following the tremendous success of the film, new superstar Sylvester Stallone took the director’s chair for the series’ first sequel in 1978 to film his screenplay for Rocky II. 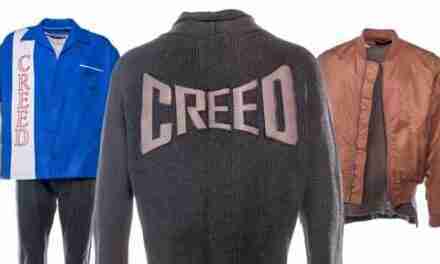 Interestingly, he chose to honor his former school in a few subtle ways beginning in Rocky II. 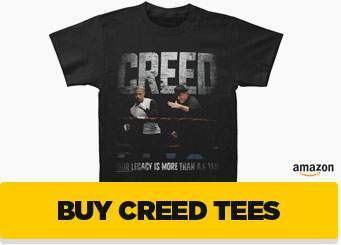 First, Stallone opted to use the school’s colors – black and gold – as the fighting colors of Rocky Balboa. 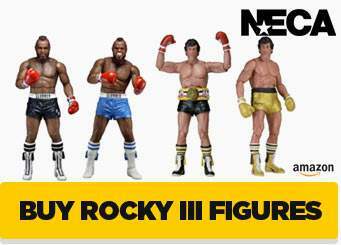 It is in Rocky II that Sly first wears his famous black and gold boxing trunks and satin robe (see more of Sly’s Rocky II wardrobe), which return to the series in Rocky III and then again in Rocky Balboa. There’s even a subliminal nod to the colors in 2015’s Creed; the sign on Mighty Mick’s Gym (owned by Rocky) has had a facelift and sports new black and gold artwork. Fast forward to Rocky III, and the real students of the marching band from Lincoln High are featured at the dedication of the Rocky statue on the steps of the Philadelphia Museum of Art as they play a spirited version of Rocky’s theme, “Gonna Fly Now”. In yet another reference to Stallone’s old school, a little-known deleted scene from Rocky II brings Rocky Balboa back to his former Philadelphia high school to accept an honorary diploma. Having never finished high school – in fact Balboa tells the employment agent that he only continued through his freshman year – Rocky has a tough time finding work outside of his boxing career without the credentials of a high school diploma. 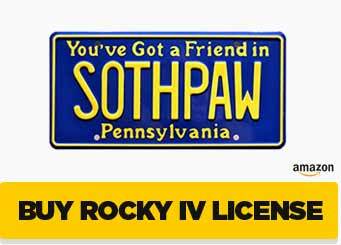 Perhaps that is a reason why it was decided to remove this reference in the film – if Rocky’s life had been made easier by being able to get an ordinary job, his slide towards battling Apollo Creed for a second time may never have happened. Meet Mark Pricskett, a longtime professional actor and director who had his first taste of film-making back in 1978 when he was just another teenager in Philly. Rocky II is the first time we learn that “Rocky” is just a nickname – the Stallion’s real name is actually Robert Balboa. Or at least, it WOULD have been the first time we learned it, had this scene from the film not been cut from the finished print. No film footage of this scene is known to exist – the only published image we are aware of appeared in the 1979 set of Rocky II bubble gum cards featuring various scenes from the movie. The color photo shows Rocky giving a speech standing at the podium in the school’s auditorium beneath a huge banner which reads: Abraham High School Welcomes Robert ‘Rocky’ Balboa. Amusingly, even though Adrian’s full name (Adrianna Pennino) is said by Father Carmine during her wedding vows to Rocky, the priest just refers to Rocky as … Rocky Balboa, and not Robert. Or Roberto. Oh, well. Later in the series we infer that the Italian Stallion’s real first name is Robert in 1990’s Rocky V, when his son, previously only referred to as Rocky Junior, is called Robert. Robert’s role (and his name) are even more prominent in 2006’s Rocky Balboa. But back to the diploma. The brief scene shows Rocky on stage dressed in his classiest outfit – the powder blue leisure suit we all remember from his professional job searching scenes in the movie. Adrian is in attendance, too, she’s seated on stage watching as her husband is treated to a standing ovation when he rises to accept the diploma, presented by the principal (played by actress Sylvia Kauders). After saying a few words, Rocky finishes by holding up the diploma for everyone to see, and then he and Adrian leave the stage together. Roughly a year later, Rocky II finally hit the big screen in June, 1979, and unfortunately for all of those Lincoln High kids and faculty, their big moment in movie history never came. Sadly for Lincoln High’s alumni, the high school and the original auditorium in which this piece of Rocky history was filmed was torn down some years ago. But Mark’s journey with the series didn’t end there. Through his film industry connections in early 2006, he finally got to be part of the Rocky story when he landed a job as an extra on the set of Rocky Balboa. Pricskett can be glimpsed dining in Adrian’s Restaurant, wearing a gray sweater. 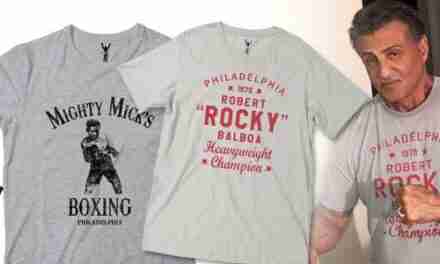 Be sure to read about Mark’s Rocky Balboa filming experience here. Visit Mark’s website for details on his acting, directing and photography work.